This article has been corrected as of October 11 at 12:00 p.m. The original version erroneously stated that Rolls-Royce had sold off two of its divisions. LONDON — Once a company gets to a certain size or age, it can be easy for the employees to forget that the point of the business, ultimately, is to make money. As a company ages and evolves, the need for restructuring is essential to its very future. However, to make any kind of significant change to a multinational that will stick long-term, changing the culture of the organization is key. Declan Guerin faced a struggle when he was hired as group chief restructuring officer at Rolls-Royce in January 2018. Speaking at September’s CFO Rising Europe Summit, he explored the inherent difficulties of trying to change a 100-year-old company viewed as a national institution. “It’s a national treasure but it hadn’t had positive cash flow for many years and that simply couldn’t carry on,” said Guerin. The company needed to restructure, to become “simpler, leaner, and more agile,” he explained. That’s hard enough for any company, but for one spread out over five large divisions, it can be daunting. Management also wanted Rolls-Royce to become a leading industrial engineering company for “today”; to do that, it needed to leave the 20th century behind. The first step Roll-Royce took was the simplest and the most drastic. The organization consolidated into three divisions — civil aerospace, power systems, and defense businesses. Its nuclear/nuclear submarine and maritime divisions were folded into the defense business and its civil nuclear operations were housed within the power systems unit. 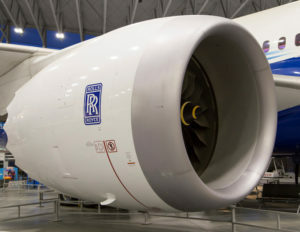 Guerin said the consolidated units did not fit the image of the 21st-century company Rolls-Royce was aspiring to be. Those divisions also weren’t making a profit. “Company’s partner much more today. You don’t need to make everything and to an extent, you shouldn’t,” explained Guerin. By cutting down to three high-performing divisions, Rolls-Royce would be better able to allocate resources where needed. The company could also now implement changes faster and, “not only change speed but change course at speed, too,” Guerin said. Then came the hard part — changing the culture at Rolls-Royce to embody the simpler, leaner, and more agile organization it wanted to become. Along with the divisional fat-skimming, it had to cut and rejig upper management and build a new executive leadership team. One of the first things Guerin did to address accountability among his colleagues was to introduce a culture of actual performance evaluation. Guerin explained why the existing performance review structure was ineffective: Of thousands of employees who were reviewed yearly, very few people had ever failed (one year, only one person in the entire company failed to pass their review). This proved bad for everyone involved, as high performers were going unnoticed and sub-par performers had no incentive to improve. Designing performance reviews that had real objectives and targets fostered a sense of ownership in the business, which in turn led to performance improvements, according to Guerin. Another major culture shift Guerin addressed was spending; in particular, travel and accommodation costs for upper management. It was not unusual for executives to have first-class train tickets for short journeys or to order high-class taxis every time they needed a car. Guerin recognized that those were difficult costs to go after because everyone enjoys the little perks that come with their jobs. As Guerin continues his efforts, he admitted that it was hard to understand and track the impact of many of the changes made so far. “You may make changes to improvement levers and not see the effects for up to seven years. This is hard to stomach in our age of rapid progress,” he said. However, Guerin’s efforts have managed to produce £400m ($525.7 million ) in annual savings from reducing fixed costs and company headcount, while also creating a simpler and more responsive business structure. This article was initially published by Innovation Enterprise. Please check your facts. Rolls-Royce hasn‘t sold off its Nuclear activities. And the Company is not based in Sussex either. The story has been corrected.